SUPER SALE!!! 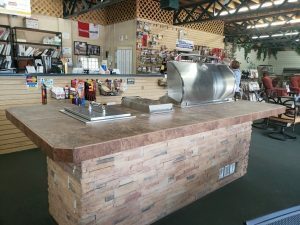 Bull BBQ outdoor kitchen on super sale for $6,500. 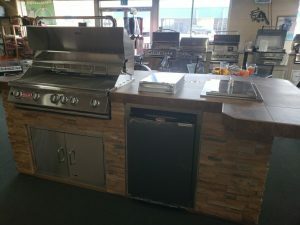 Features38″ 5 burner BBQ grill with rotisserie burner and lights. Stack stone sides and porcelain tile top. Includes sideburner, ice chest, double access door and refrigerator. If you would like to see this in person please visit our Denver store at 2085 S. Holly St. Denver. Or email our website.